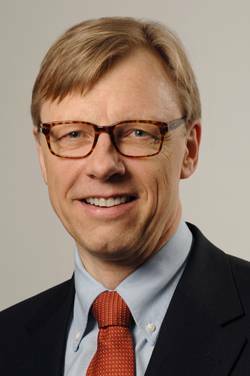 Juha Heikinheimo (54) was appointed President of Napa Group (Napa Ltd), a leading provider of software solutions for the maritime industry. The appointment takes effect on September 1, 2011. Mr Heikinheimo assumes the position from Matti Salo, who successfully served as President of Napa Group for eleven years. Mr Salo will continue as President of the subsidiary, Onboard-Napa Ltd. He will focus his attention on customers and boosting the growth of the NAPA for Operations business. Heikinheimo has extensive experience of the shipbuilding industry. Most recently, he has served as President of STX Finland Oy. Earlier he worked as President of the Santasalo Group, and he also has about twenty years´ experience of various management positions within the Metso Group in Finland, France and Singapore. Heikinheimo started his career as a naval architect at Rauma Shipyard in 1983. ”The Napa Group is ready to exploit the new growth opportunities facing us,” says Mr. Ari Elo, Chairman of the Board of Napa Ltd. ”Our goal is to grow and further strengthen our position as a leading provider of software solutions and services for the maritime industry. I am very pleased to have Juha Heikinheimo onboard. I believe that his business and management skills combined with his strong background in shipbuilding will be of great value to the Napa Group. I am convinced that with these two experienced leaders, Heikinheimo and Salo, the Napa Group will be able to reach its bold growth targets,” Elo continues. "I am truly delighted to join the dynamic and successful Napa Group. As a global leader and forerunner in its industry, Napa’s strength lies in its ability to offer customers user-friendly and reliable software solutions for the vessel’s entire life cycle – from design to operation. We will work together with the entire Napa team to identify new ideas and business opportunities that will further strengthen Napa’s position as a leading maritime software solutions provider,” Juha Heikinheimo says. “We are witnessing remarkable growth in software solutions markets for ship operations. Our intention is to work actively to grow our share of these markets. Napa is committed to developing and delivering solutions and services that will improve the performance of our customers. Energy efficiency and safety together with environment-friendly and sustainable solutions will become ever more important, not least due to new, stricter regulations and legislation. Napa can already provide fully compliant solutions for its customers,” Matti Salo states.